Top 10 reasons to sell your car to us… Paid for or Not! 1. 30 Minutes or Less appraisal (no appointment necessary). 2. Safe and Secure… Why publish your personal information and meet strangers to drive your car? 3. We complete all DMV paperwork on-site. 4. We buy any make or model regardless of mileage. 5. Honda World Downey will issue a corporate check to you and/or the bank instantly upon completion of transfer. 6. Honda World Downey will provide you with printed copies of all 3rd party evaluation reports. 7. Return your end of term Honda Lease to us and receive cash! 8. All purchase offers are provided in writing and good for 5 days. 9. Save time and money without having to advertise your vehicle. 10. Honda World Downey will provide up to 3 days alternate transportation for qualified sellers or a complimentary shuttle to your home or work. 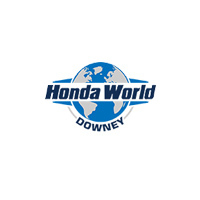 If you’re looking to sell your current vehicle, Honda World Downey is interested! Visit our dealership in Downey, CA today, for an easy, hassle-free deal, or contact us now if you have any questions. If you’re interested in trading in your current vehicle for a new or used model from our inventory, you can even use our trade-in calculator for a quick estimate, as well as our online payment estimator to help manage your finances. We even work with those have less than ideal credit. Come see us today!